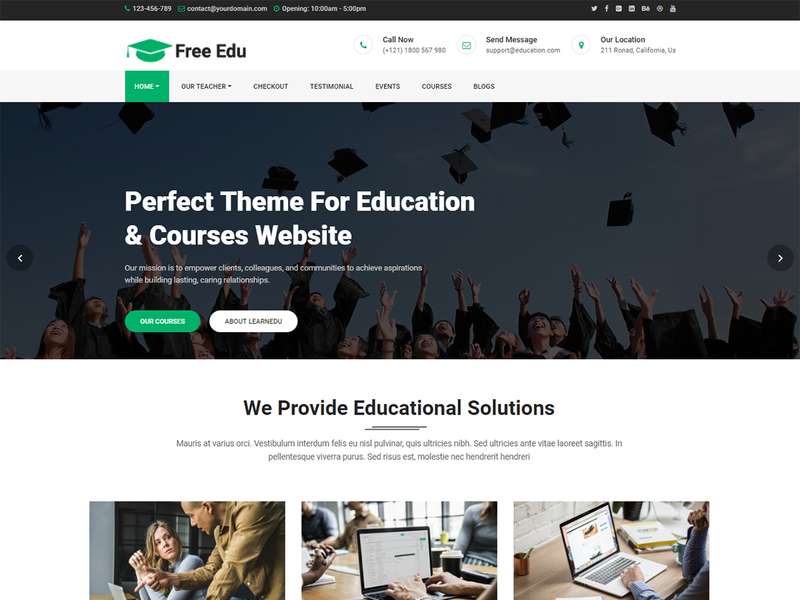 Free Education is a simple, clean, responsive and user-friendly education WordPress theme specially designed for university, school, college or other educational institutions. The Free Education theme has powerful theme customization options such as custom header settings, logo, custom menu, social icons, featured slider, courses and more. It makes your website more engaging and informative. Especially, the Free Education theme works excellent with Free Education Helper and learpress plugins, help you easily create flexible content and sell the course online. Hi, I downloaded the free version of free education theme. However, I am not able to remove the breadcrumb option which is coming in every page except for home page. Can you please help on this?